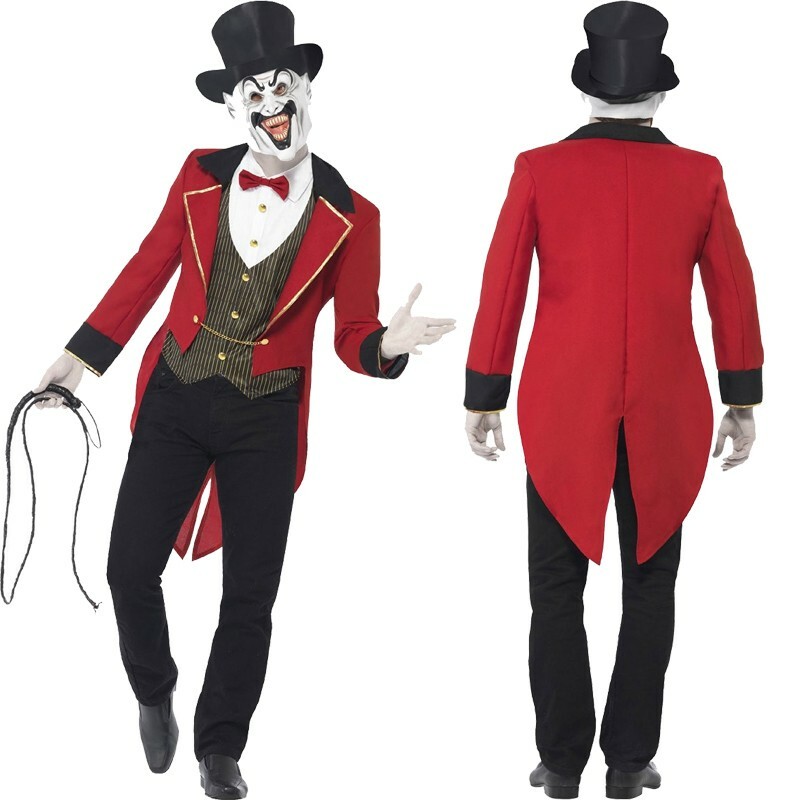 The Outfit features a Long Red Tailcoat with Gold Piping around the Lapels with a Black Collar and Cuffs. The Jacket also includes a Gold Chain attached across the Stomach. The White Mock Shirt with a Black and Gold Pin Striped Waistcoat is attached to the Jacket detailing a Red Bow Tie and Gold Buttons. Adding the Circus Freak status to this Bizarre Costume is the White Face with an attached Black Top Hat. Package include: jacket, mock shirt, top hat. Does not include: whip, pants and shoes.